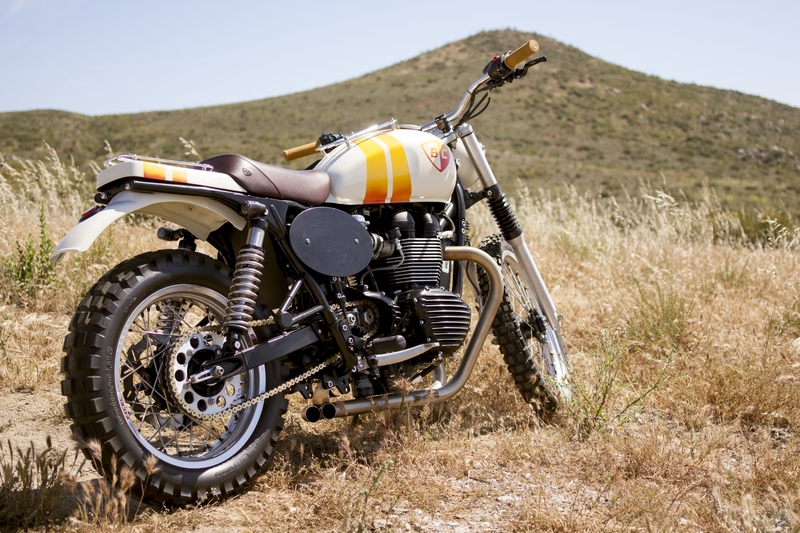 Chippa Wilson on The Beach Sled British Customs built for him from a Triumph Bonneville T100. 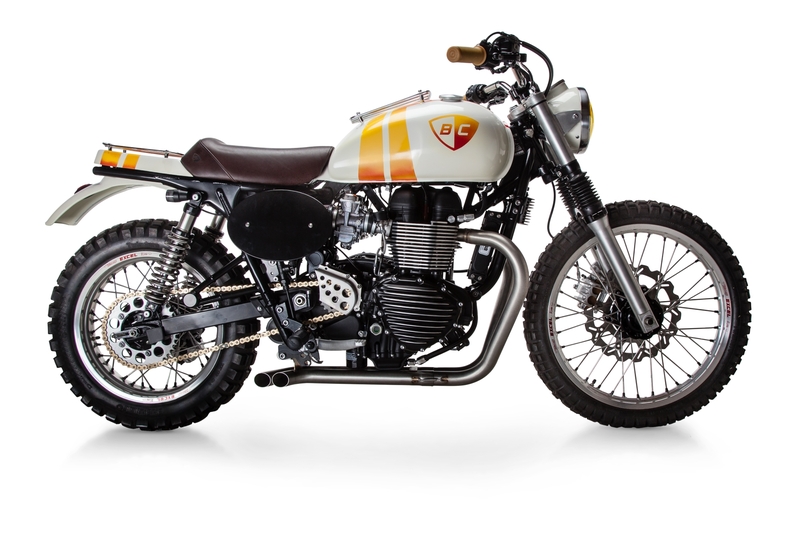 The British Customs Beach Sled was built for Chippa Wilson from a Triumph Bonneville T100 and customized using bolt-on to factory-spec parts that install with common tools. Chippa Wilson is an action sports legend and a new heritage lifestyle icon. When he went to Triumph veterans British Customs to have them build a bespoke custom motorcycle for him, they knew exactly what to create for him. Thus was born The Beach Sled. Wilson is a symbol of the new heritage movement that respects a past when times were simpler and quality craftsmanship was deeply admired. 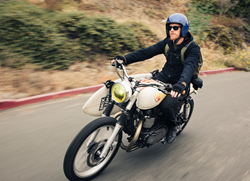 Riders worked on their motorcycles by hand with their friends and family, and such legends as Steve McQueen and Bud Ekins were still pioneers of the adventure-seeker lifestyle. Wilson is an ambassador of the growing maker movement of people who love to work with their hands and do things themselves, and a community leader who has led successful charity drives to help other communities in need around the world. The challenge British Customs faced was to create a motorcycle that combined all of this while still reflecting Wilson as a person. The motorcycle they of course had to use as a foundation for the build was the iconic Triumph Bonneville T100. 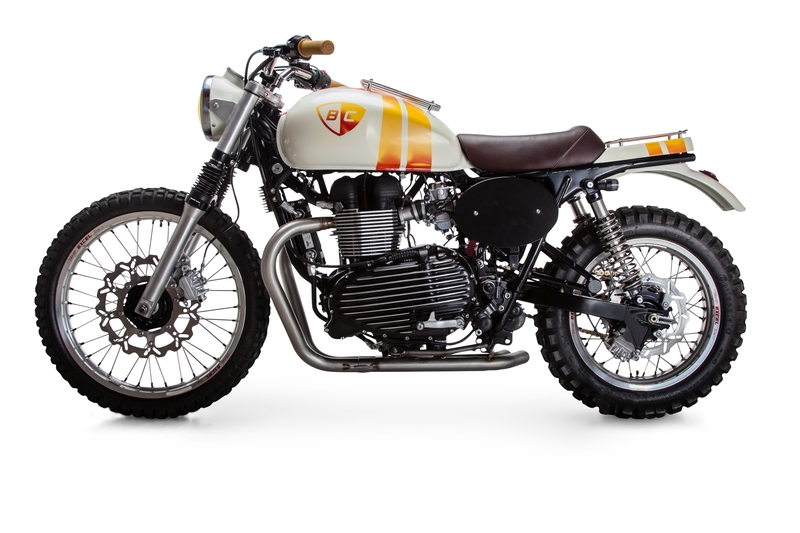 Inspired by the desert sleds and scramblers that icons such as Steve McQueen, Bud Ekins, and Eddie Mulder rode in the 50s and 60s, British Customs began customizing the bike using a series of BC Weekend Projects. To support the growing modern retro motorcycle community, British Customs created an expansive Resource Center where they have a continually growing list of curated installation instructions, how to guides, buyer’s guides, and Triumph 101 guides. Each guide is rated by difficulty, list what tools are required, how long an installation takes, and for what models the guide works. The British Customs Resource Center is designed to help riders ranging from new first time owners to experienced custom builders learn how to customize, work on, and maintain their Triumph motorcycles. Users can also leave questions or comments on articles in the Resource Center, where British Customs experts or other community members can respond to support each other. The Beach Sled is a twist on the desert sleds of yesteryear, and takes many of its aesthetic and functional queues from these retro heritage styles while still featuring numerous modern upgrades. The Beach Sled Seat, for example, looks like one of the old bench seats from the 60s, but features a medical-grade gel insert to keep the rider comfortably in the saddle for all-day adventures. The Slash Cut TT Exhaust Featured Project gave the Beach Sled a vintage look and sound while simultaneously maximizing the bike’s horsepower. The Mule Tracker Bar Featured Project swapped out the stock handlebars for more ergonomically-focused handlebars designed by legendary custom motorcycle builder Richard Pollock of Mule Motorcycles. 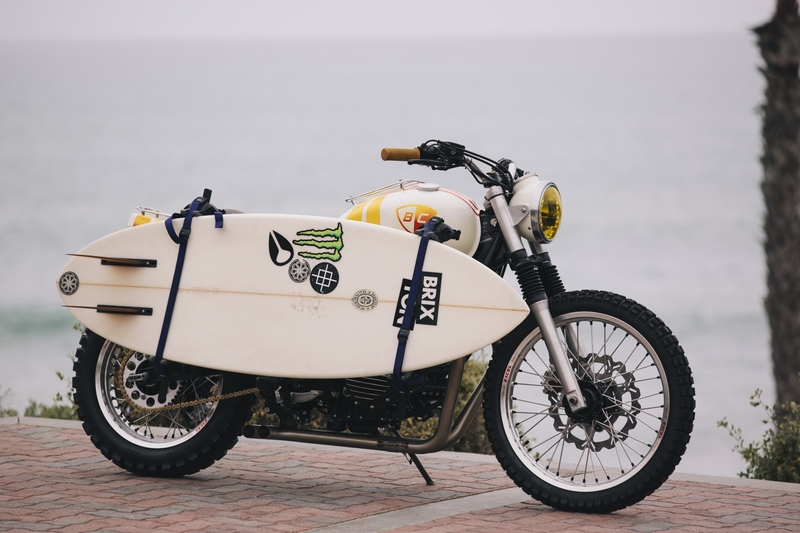 British Customs has revealed the full build notes for The Beach Sled, and have uploaded them to their site to inspire enthusiasts and show them that unique custom motorcycles can be built with only bolt-on to factory-spec parts. 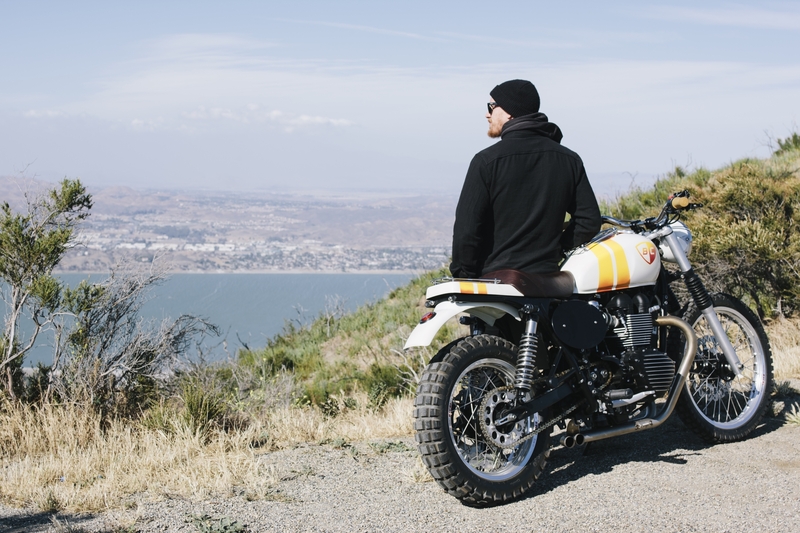 Chippa Wilson is a lifestyle personality known for his love of simpler things from the “good ol’ days.” Wilson is a known retro motorcycle enthusiast and Renaissance man. Wilson is a world-renowned professional surfer and X Games Silver Medalist. Wilson is sponsored by Nixon, Stance, Fox, Monster, and New Era, among other brands.